for an attorneyfor the first time or to continue representation, there are a few things that you should consider when electing the right representation for you. Take a look at the following 10 points to consider when seeking new and ongoing representation. One of the most common ways to locate attorneys is to receive referrals from your friends and families. Friend and family experiences are the easiest to connect with and the easiest to learn about. However, there are also good referral services connecting qualified attorneys with persons looking for representation. Be sure to seek out available options when locating your next attorney. Talk to people such as friends and family that have gone through similar legal problems as you are undergoing to learn who has had positive experiences with their attorney. However, don’t base your representation decision based on your friends recommendations. Seek out consultations and find an attorney that you can connect with and feel comfortable with. As you do with your hairstylist and dentist, ask around before you make your decision. When electing an attorney, ask whether your attorney is dedicated to transactional work or litigation work. Transactional attorneys focus more on document preparation and pre-litigation representation to keep you away from the U.S. court system. On the other hand, litigation attorneys dedicate themselves to accelerating matters and take them to trial. Depending on your legal matters and your the expected resolution you’re seeking, one type of attorney may be best for you over the other type. Once you start narrowing down your options, you’ll want to start reaching out to attorneys for initial consultations. Some attorneys will offer you either free initial phone consultations or consultations requiring a fee. Phone consultations allow you the opportunity to learn how an attorney provides guidance and allows the attorney to determine whether he/she can help you with your legal matter. In other cases, a free in-office consultation or an in-office consultation requiring a fee will be offered. Attend these initial consultations with a general summary of your legal matters. Take this opportunity to ask your questions and determine whether there is good chemistry between you and potentially your new attorney. 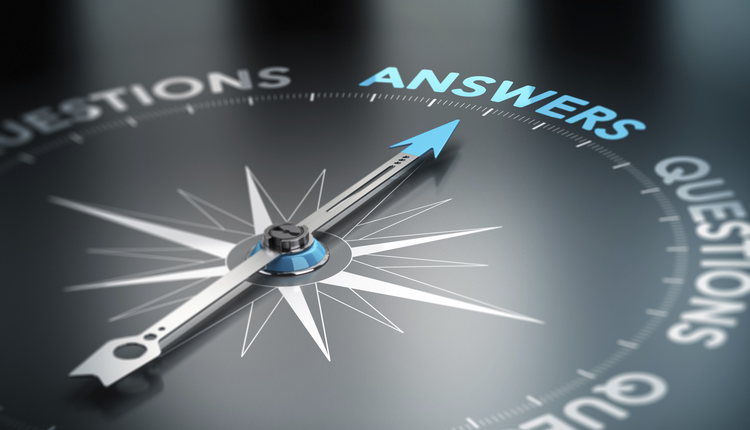 When undergoing the initial consultation phase, take the opportunity to ask questions about legal matters and seek out a connection with your new attorney. At the end of the initial consultation phase, you should feel comfortable asking questions about the representation and about administrative tasks. A good level of chemistry should exist for successful representation to occur. Meeting with one attorney for an initial consultation may just yield a good attorney-client relationship. However, something may be off requiring a second initial consultation. That’s perfectly fine. Shop around your attorney the same way you would do so with your dentist, hairstylist, banker, and other personal services relationship. Know that shopping an attorney is not only common, but it is also often encouraged by good attorneys. When meeting with an attorney, ask about the attorney’s areas of practice. One attorney cannot know everything there is to know about the law and therefore focus their practice to certain areas. For example, at this office, the practice areas include business law, real estate, estate planning, intellectual property and dispute resolution. Other firms focus on family law, immigration law, criminal law, environmental law and plenty of other areas. The only way to determine whether you’re talking to the right office is to discuss your legal problem in plain English. The attorney you speak with can identify your legal problem(s) and determine whether they are qualified to assist you. Good attorneys provide great service in addition to solid legal counseling. At the end of your initial consultation and throughout your representation, you should feel comfortable in speaking with your attorney at all times. Establishing good communication lines and rapport with your attorney is important. Different legal matters require different fee structures mutually beneficial for you and for the attorney of record. Common fee structures include hourly rate services, flat fee arrangements, fixed monthly flat fee arrangements, contingency-based representation and sometimes a hybrid of these options. When attending your initial consultation, ask about these options and learn how you’re going to be invoiced for your legal services. Before you sign a legal services agreement, ask about what your representation will be like once you become a client. Will the attorney work on your matter one hundred percent of the time? Or, will staff and paralegals handle a majority of your matters? Learn about what you can expect after you sign the legal services agreement. After you review the above 9 points in preparing for your new representation, the last and best thing you can do is to listen to that gut feeling that you get about your new attorney. If you think you’ve found the right attorney fit for you and/or your family, go with it. If not, continue shopping around and request another consultation. Learn about our Practice Areas to help you determine whether this office can help you. Take a peek at the Type of Clients this office has assisted.